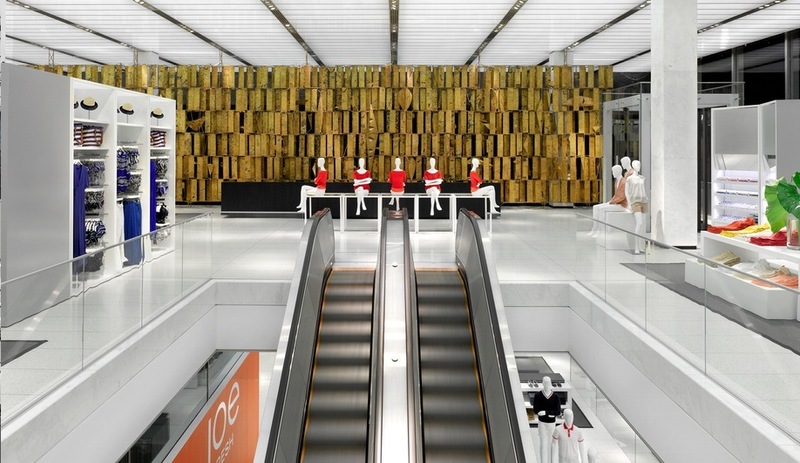 Burdifilek's interior design for Joe Fresh's flagship store in New York incorporates existing elements from the 1950s. 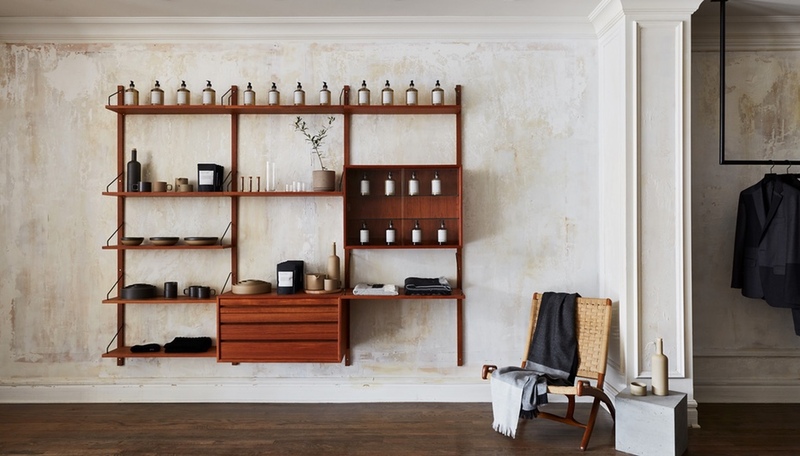 The Toronto interior design firm has spruced up a unique mid-century interior for the launch of fashion retailer Joe Fresh into the U.S. market. As Joe Fresh expands into the U.S. – with six locations open now and another 700 slated to arrive in JC Penney locations next March – the shopping experience will be crucial to introducing the wildly popular Canadian brand to a new market. 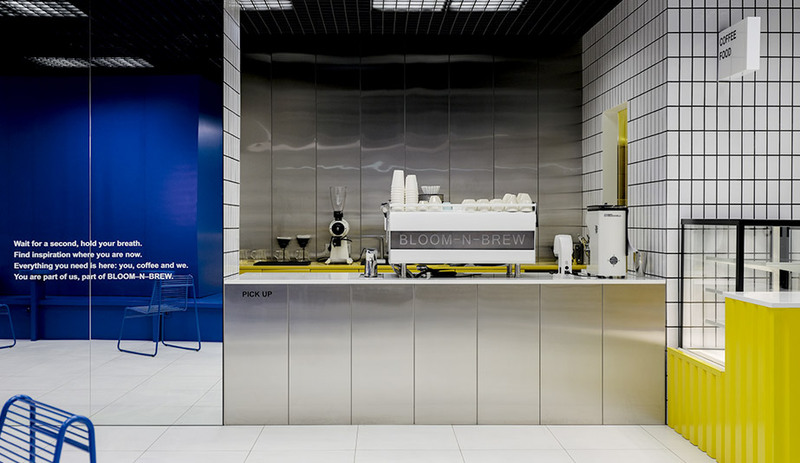 Nowhere is the retailer’s colourful and adaptive approach to personalizing its store environment more visible than in its recently opened New York flagship, which takes over two floors of an historic bank building on 5th Avenue. 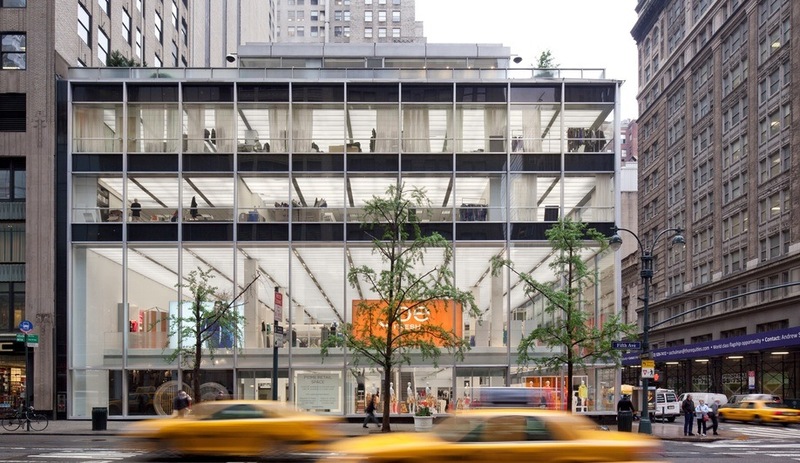 When the now-iconic building first opened in 1954, its glass facade by Skidmore, Owings & Merrill presented a whole new aesthetic to a street known for stately brick buildings. The massive panes of glass, in fact, are considered important examples of the International Style. American historian Lewis Mumford once dubbed the structure a “Crystal Lantern” for the way the light-filled interior could be seen from blocks away. Burdifilek chose to retain many of its most distinctive features but added a thoroughly contemporary interior. Just over 1600 square metres of floor space is given over to Joe Fresh’s bold-coloured fashions that pop against an all-white environment. Powder-coated metal wardrobes incorporate translucent Lexan panels to enhance the sense of soft illumination. Throughout, low-lying merchandizing cubes provide display area, and each is cast in polycarbonate from a wooden mould. The effect is striking. They have the look of porcelain but the texture of wood. 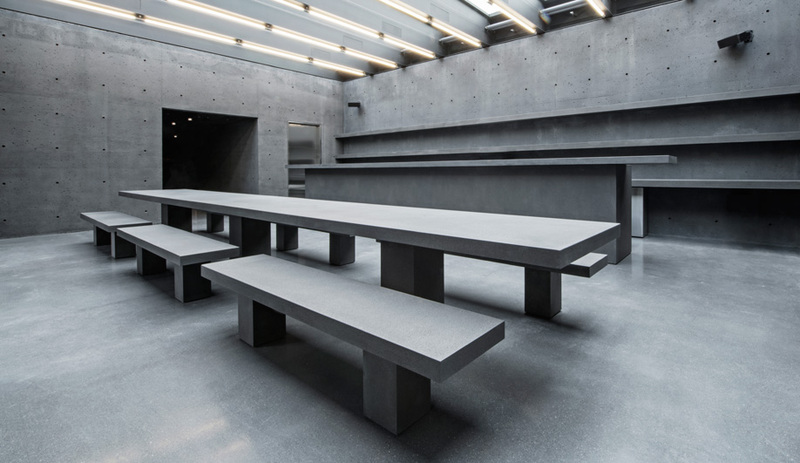 Parsons tables the size of dining tables provide larger display surfaces for showing off sweaters, shirts and stacks of pants. The most eye-catching feature is the glowing orange signage that defines each department. Like the clothes, the bold colours pop, even from across the street. 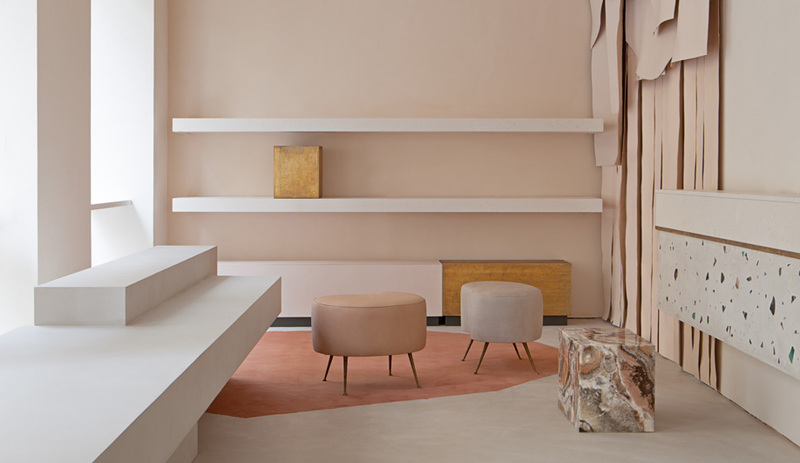 Despite going thoroughly modern, Burdifilek’s lead designers Diego Burdi and Paul Filek were sensitive of the building’s history. After renovations began, preservationists feared the worst; even though the exterior is protected as a mid-century icon, the interior – with its terrazzo flooring and continuous backlit panels on the ceiling – is not. 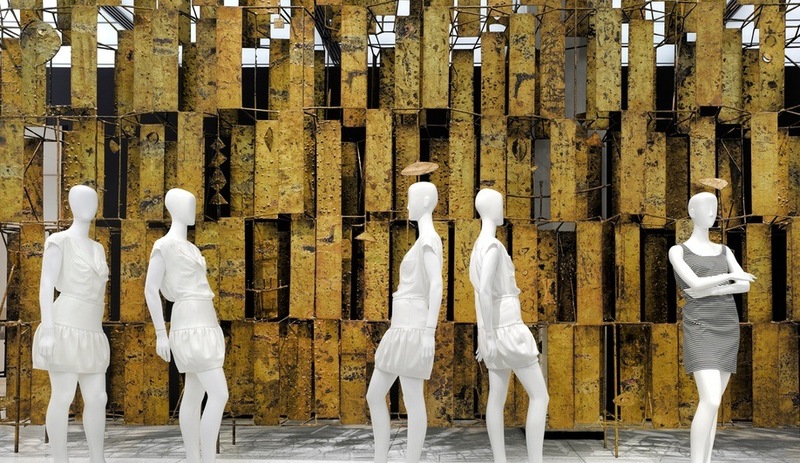 Nor was a suspended mobile sculpture and gilded screen commissioned from Harry Bertoia and custom designed for the building. Burdifilek’s choices, however, kept all these features intact. They relied on free-floating displays that avoided the need to drill, and the final touch was to restore and reinstall the mobile and screen. 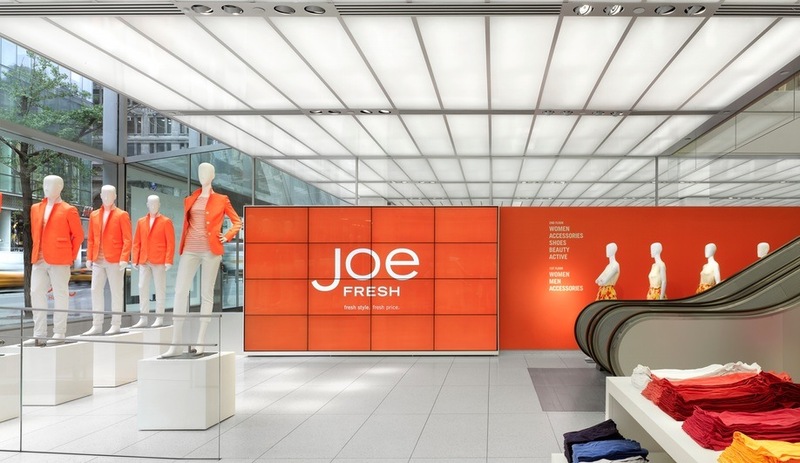 No one can deny the results embody Joe Fresh’s clean aesthetic with an interior that is adept at conveying the company’s popular brand while preserving innovations from 60 years ago. 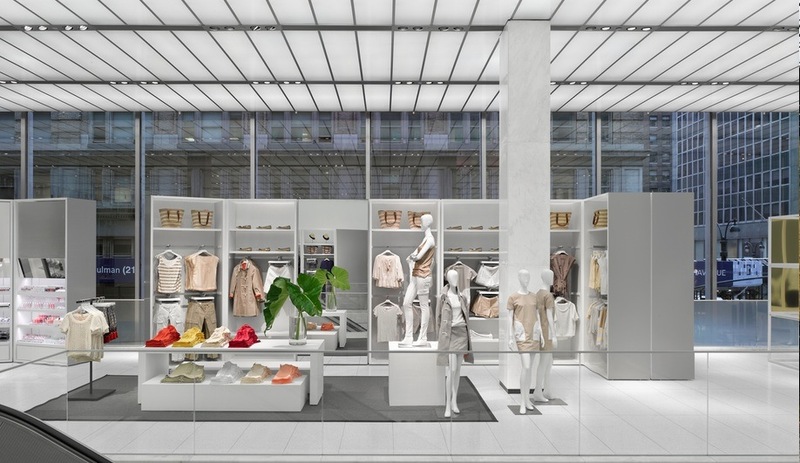 Joe Fresh’s New York Flagship is located at 510 5th Ave, between 42nd and 43rd Streets.